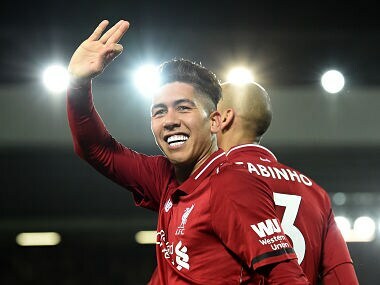 Liverpool extended their Premier League lead to nine points as Roberto Firmino's hat-trick hammered Arsenal 5-1 at Anfield, while Tottenham's title challenge crumbled in a 3-1 home defeat to Wolves. Manchester City could cut Liverpool's lead to seven points when they look to stop a recent slump at Southampton on Sunday, but ahead of their trip to the Etihad on 3 January, Jurgen Klopp's men currently look well on course to deliver a first league title since 1989/90. "For sure Tottenham's result people out there reacted, but not inside the dressing room where they were completely concentrated on the match and not allowed to have that influence on our game," said Klopp. "That is how I want the team to stay which is to be concentrated, nothing else." 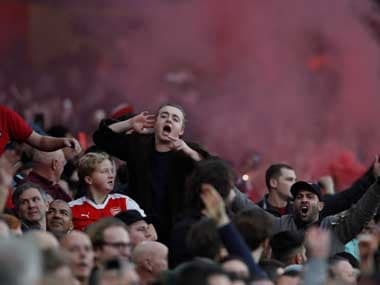 Liverpool even overcame a rare deficit on home soil as for the first time this season after they trailed in the league at Anfield when Ainsley Maitland-Niles swept Arsenal into an 11th minute lead. 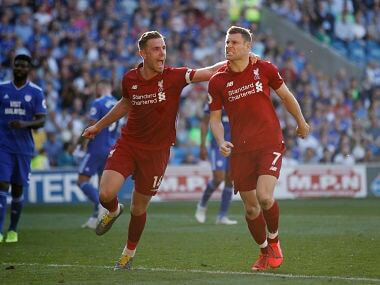 However, the hosts were level within three minutes and 4-1 up by half-time as Firmino struck twice in two minutes before Sadio Mane and Mohamed Salah's penalty made the points safe before the break. 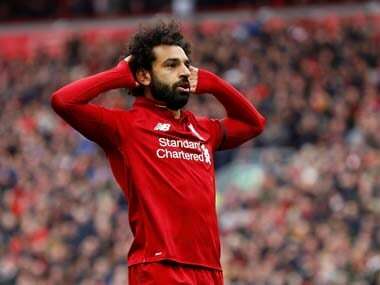 Salah then passed up the chance to move out in front as the league's top scorer after drawing level with Pierre-Emerick Aubameyang and Harry Kane on 13 as he allowed Firmino to take Liverpool's second penalty of the evening 25 minutes from time to complete the Brazilian's hat-trick. Tottenham had surged ahead of City into second place after smashing 11 goals past Everton and Bournemouth in the previous six days, but ran out of steam at Wembley as Wolves scored three times in the final 18 minutes. A wonderful moment of individual skill from Kane put Spurs on course for a sixth straight league when he cut inside onto his weaker left foot, but still produced a powerful drive from 20 yards that beat Rui Patricio midway through the first half. However, much has been made of Tottenham coach Mauricio Pochettino's ability to extract the most from a stretched squad and Spurs finally looked like a side jaded by competing on four fronts in the final stages. "We have had a very good run in the last few weeks and to keep that level is difficult," said Pochettino. "I think we started to pay for the effort in the other games. We are not machines." The comeback began when Willy Boly rose highest to meet Joao Moutinho’s corner to equalise. As the hosts pressed for a winner, Wolves broke in numbers and Raul Jimenez put the visitors in front six minutes from time before Helder Costa raced clear to score his first Premier League goal. Fulham are now just a point away from safety after Aleksandar Mitrovic saved Aboubakar Kamara's blushes, but not the wrath of manager Claudio Ranieri. The Frenchman ignored Ranieri's orders to let Mitrovic take a late penalty with the scores still tied a 0-0 and saw his effort saved by Jonas Lossl. "I said to Aboubakar Kamara to leave the ball to Mitrovic, he is the man who shoots the penalties," said Ranieri. 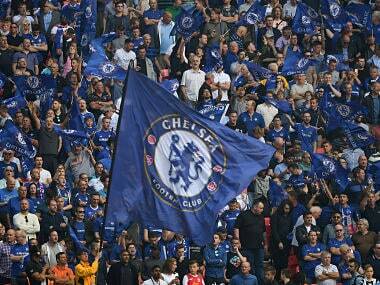 "It is unbelievable, he did not respect me, the club, the team and crowd. I spoke with him, it is not right. "I want to kill him, that is normal when one man takes a ball, only because he scored the last penalty (against Manchester United). It should be Mitrovic, that is it." A missed penalty was also the turning point at the King Power where Cardiff goalkeeper Neil Etheridge saved James Maddison's spot-kick for Leicester. And Cardiff snatched a first away win of the season in stoppage time when Victor Camarasa unleashed a rocket to move the Welsh side four points clear of the relegation zone with a 1-0 victory. Brighton also boosted their survival chances by beating Everton 1-0 thanks to Jurgen Locadia’s solitary goal. Newcastle are also four points above the drop zone after they were denied a vital three points by Abdoulaye Doucoure's late equaliser for Watford in a 1-1 draw at Vicarage Road after Salomon Rondon had opened the scoring.